The closing ceremony for the 2017 Sino-Central African Technical Workshop on Bamboo Product Development was held in Beijing on September 18th, 2017. Professor Jiang Zehui, Director of ICBR, Co-chair of INBAR Board of Trustees and Deputy Director of the Committee of Population, Resources and Environment of CPPCC; Mr. Wu Zhimin, Director of the Department of International Cooperation, State Forestry Administration; Dr. Hans Friederich, Director General of INBAR; Dr. Fei Benhua, Deputy Executive Director of ICBR; Mr. Bernard, Counsellor at the Central African Embassy in China and Ms. Wang Yajie, Deputy Division Director at AIBO, MofCom were present at the ceremony. 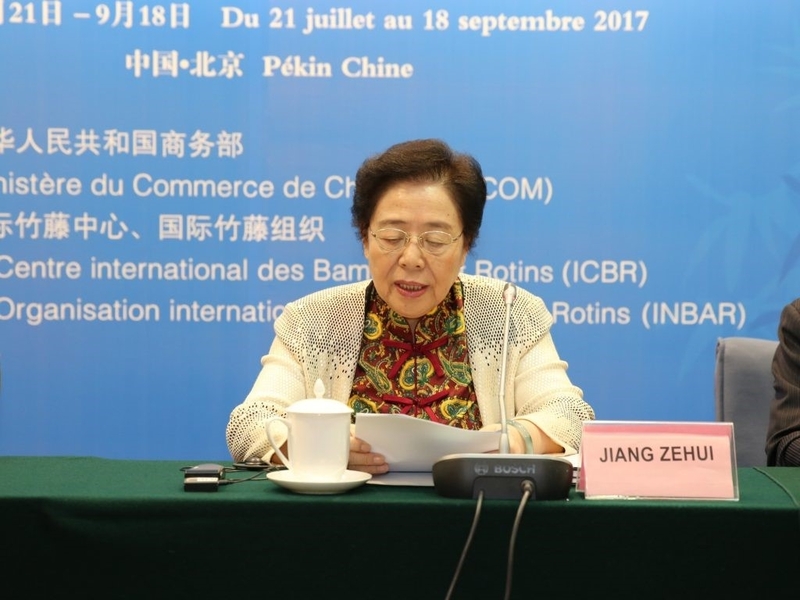 In her speech, Professor Jiang commended this workshop for broadening the horizon of its participants, inspiring them to think innovatively and take actions as well as enlightening them about the variety of bamboo utilization and the great potential of bamboo industry. 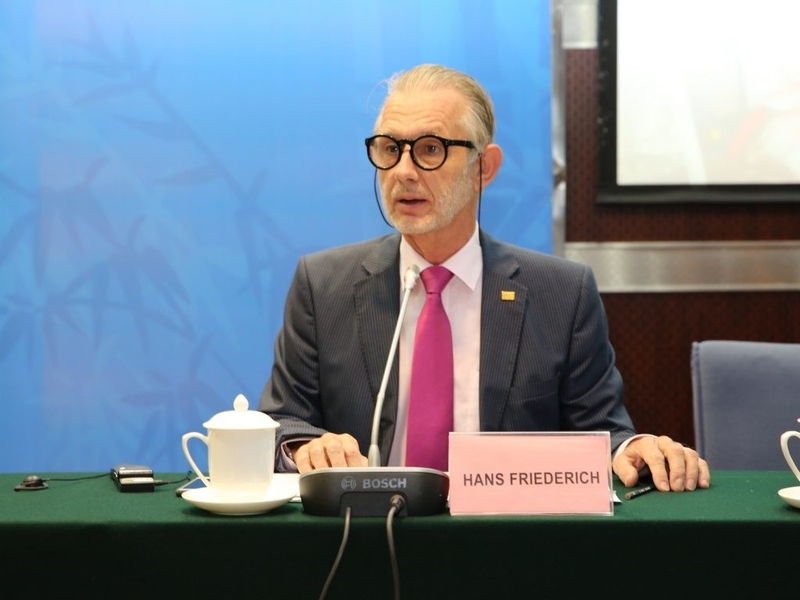 She also recognized the role of this workshop as a platform for experience-sharing and mutual learning, and more importantly, an effective channel for further Sino-Central African cooperation. She expressed a genuine wish that the participants of this workshop would translate what they learnt here to enhance the development of bamboo products and bamboo industry in Central Africa. Mr. Wu said China has long been a participant and beneficiary of global cooperation, and is gradually becoming a major contributor to it. By hosting foreign-aid training programs, we wish to share our experiences in bamboo forest cultivation, bamboo development and utilization to facilitate a green and sustainable development for all. Dr. Friederich welcomed Central Africa to become a member of the INBAR family. 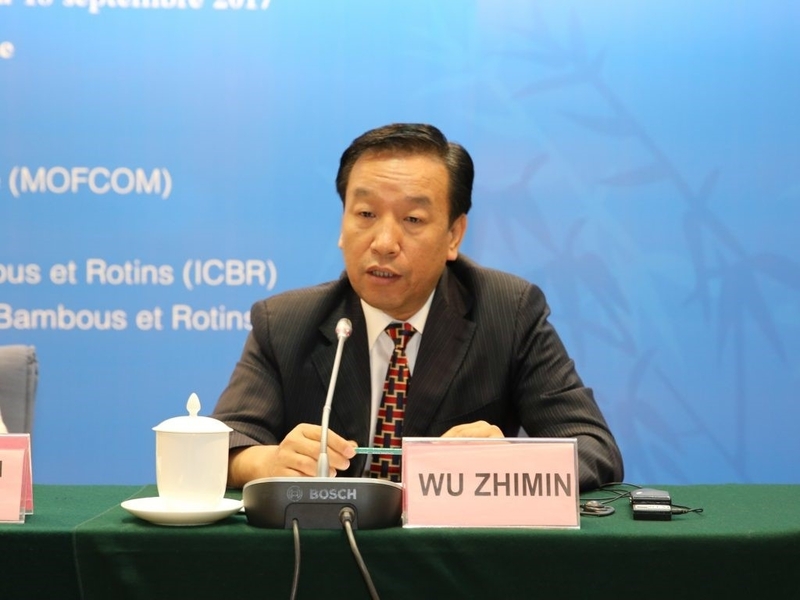 He mentioned that the first World Bamboo and Rattan Conference (BARC) is scheduled to be held in June 2018, and invited Central Africa to participate in the event and join discussions of a range of bamboo and rattan-related strategic issues such as the role of bamboo and rattan in south-south cooperation, the Belt and Road Initiative, adaptation and mitigation of climate change as well as protection of biodiversity. A representative of the participants, Mr. Feizounam Ouanfio Samuel, thanked the Chinese government for its generous support of this workshop and the efforts made by ICBR. He pledged to apply what he learnt in China to practices in his own country and help make bamboo a means of alleviating poverty, lowering unemployment, and stimulating the economy in Central Africa. This workshop is hosted by China’s Ministry of Commerce, organized by ICBR and co-organized by INBAR. 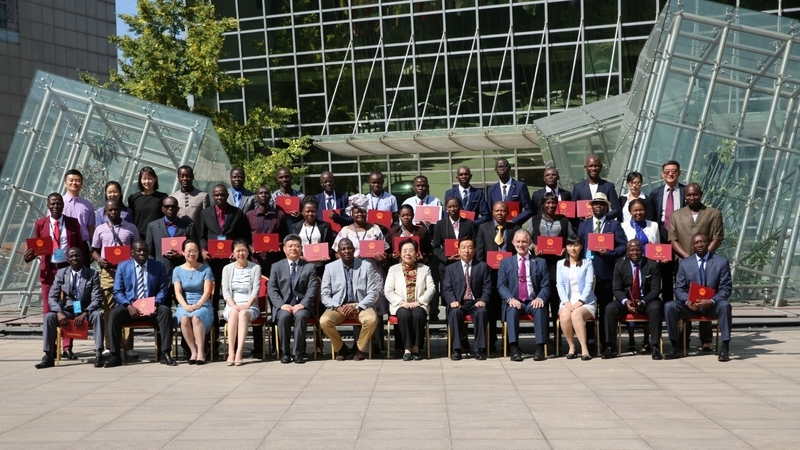 During the 60-day-long workshop, 25 Central African participants have gained a deeper understanding of bamboo resources and industries in China and around the world through professional lessons, technical trainings, field trips and lectures in Beijing, Anji and Qingshen. They’ve also had the opportunity to visit some man-made bamboo forests and bamboo processing companies, talked with local forestry authorities, organizations and leading bamboo enterprises. Through intensive training, they have mastered many bamboo-weaving and product design techniques. 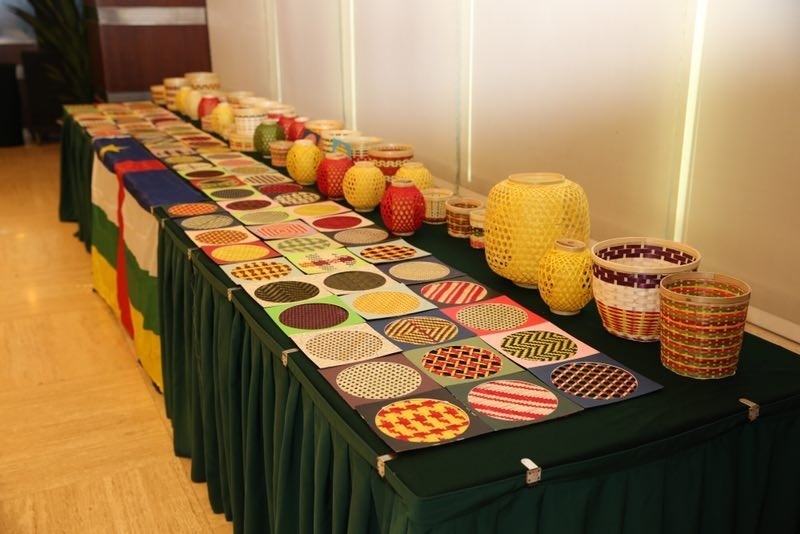 With the help of the teachers, the participants have made over 650 pieces of bamboo handicraft by the end of the workshop.